In April 1541, while traveling on the plains east of the Pueblo region, Francisco Coronado wrote: "After seventeen days of travel, I came upon a rancheria of the Indians who follow these cattle [bison.] These natives are called Querechos. They do not cultivate the land, but eat raw meat and drink the blood of the cattle they kill. (above Andrea) They dress in the skins of the cattle, with which all the people in this land clothe themselves, and they have very well-constructed tents, made with tanned and greased cowhides, in which they live and which they take along as they follow the cattle. They have dogs which they load to carry their tents, poles, and belongings." When New Mexico became a Spanish colony in 1598, hostilities increased between Spaniards and Apache. One source of the friction with the Spaniards was with the slave traders, who hunted down captives to serve as labor in the silver mines of Chihuahua in northern Mexico. In return the Apache raided Spanish settlements to seize cattle, horses, firearms, and captives of their own. Before long, the prowess of the Apache warrior in battle became legend. 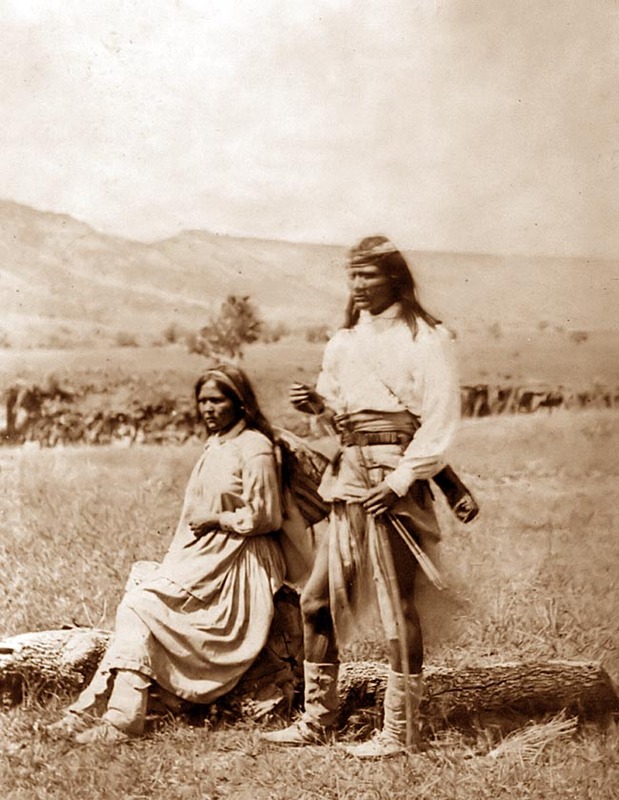 The Apache were not so numerous at the beginning of the 17th century; however, their numbers were increased by captives from other tribes, particularly the Pueblo, Pima, Papago, and other peaceful Indians, as well as white and Spanish peoples. Extending their raids as far southward as Jalisco, Mexico, the Apache quickly became known for their warlike disposition. 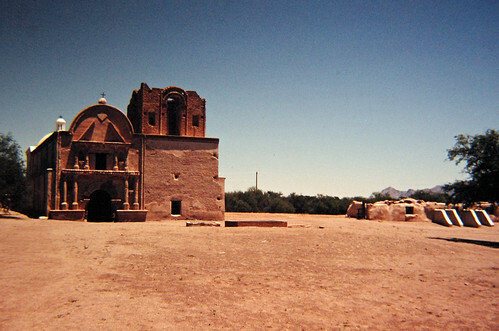 .we read of an Apache attack which left the mission of Tumacacori almost in ruins . Presumably this attack caused some of the native population to flee, for in 1772 we find two census figures which show a decided drop below the 199 figure given a little earlier. Unfortunately, statistics have a habit of being frequently confusing, and such is the case here. One count for this year gives only 39 inhabitants for the town, the other gives 93 persons. Of course, both figures could be right, for different times of the year!Tumacacori's future definitely brightened in 1773, for on this momentous date she took over Guevavi's role as head mission for the district . At the same time we see the first mention in the church register of the new name, "este pueblo de Joseph de Tumacacori." Guevavi then dropped to the rank of a visita. Reasons for this change are not completely clear, but apparently shifts in intensity of attacks along the Apache frontier caused the authorities to regard Guevavi's higher status as untenable. This reasoning is well borne out in a statement of October 15, 1775, by Father Font, diarist of the famous De Anza expedition to California. In his account, he says he left the main group and went ahead with four soldiers to say Mass at the pueblo of Calabasas, "which is a visita of the mission of Tumacacori, and formerly was a sub-station of the mission of Huevavi, which was depopulated by Apaches." He then went on to Tumacacori, staying there for several days. In 1774 De Anza made a preliminary trek to the southern part of California, and now, late in 1775, he had secured authorization to undertake a more extensive expedition, and take along colonists. The group started from Horcasitas, Sonora, went northward into the Santa Cruz Valley(below), via Tumacacori, Tubac, thence north and west down the Santa Cruz to the Gila, westward to the Colorado, across it northwestward through the California desert, and eventually to Monterey and San Francisco Bay, where a mission and presidio were established, and the great city of San Francisco had its origin. 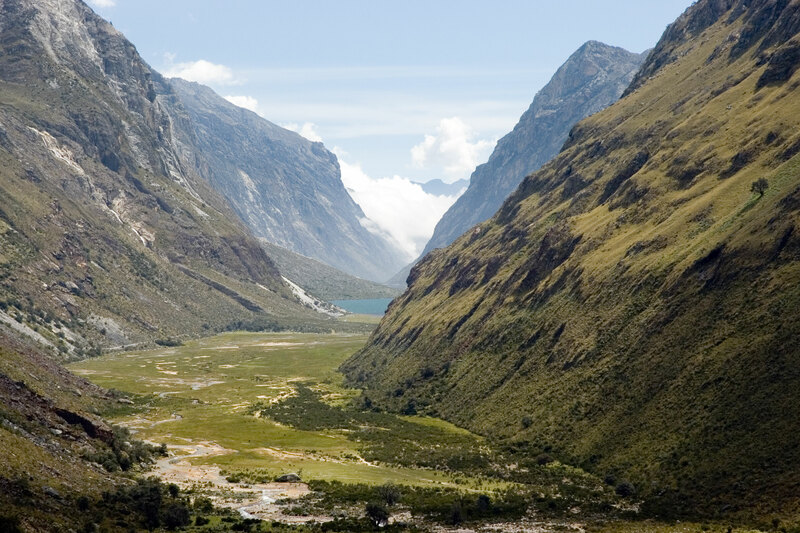 Tumacacori contributed to the founding of San Francisco, by furnishing some of the beef cattle which were driven on foot with the expedition! But she suffered because of this trip, for while part of Tubac's garrison of soldiers was absent with De Anza, the Apaches raided. 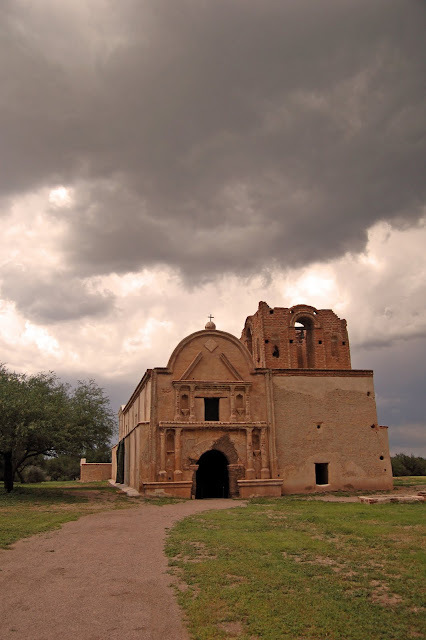 On May 24, 1776, Don Felipe Velderrain, alferez of Tubac, came to see Father Font at Caborca, and reported that "nothing now remained at the mission of Tumacacori, for the Apaches had carried off everything and caused much damage . . ."
More bad news for 1776 was the transfer of the Tubac garrison to Tucson, although later there were soldiers again at Tubac. 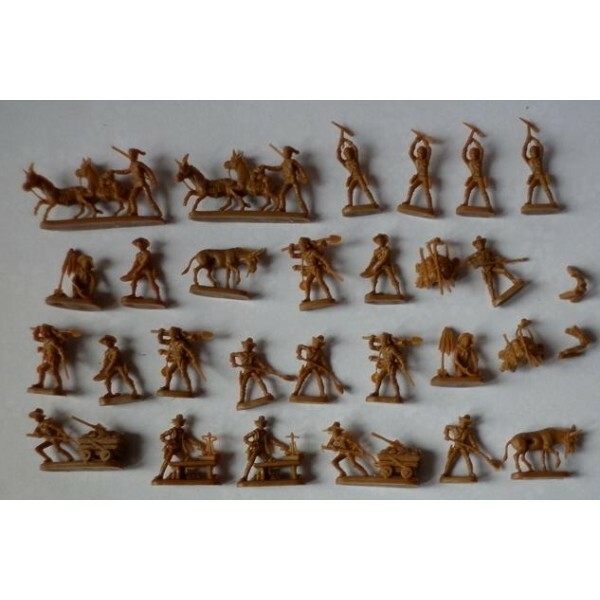 However, the most confirmed optimist could never have considered its handful of soldiers as really adequate protection for the several pueblos, rancherias, and mission areas of what is now southern Arizona. Even at Tubac, while the soldiers were stationed there, the crafty Apaches succeeded, in the course of several raids, in stealing over 500 precious head of horses! Nevertheless, the dauntless missionaries did not give up their work. Entries in the Tumacacori church register continued in 1777, to be followed by many entries in the follow ing year. The church was evidently repaired not too long after the raid of 1776, for we have a reference, commenting on the commonplace grim reality of the frontier, that the killing of Father Felipe Guillen in 1778 on the road between Atil and Santa Teresa (south and west of Tumacacori) did not deter the padres in their work "Other church buildings were repaired and roofed, as at Tumacacori, Cocospera, and Calabazas, or decorated . . ."t is doubtful if defensive walls built around several of the frontier pueblos during this period would have been of very great value, in themselves. But a radical policy change, introduced by New Spain's Viceroy Galvez in 1786, was to have far reaching effects in Apache management for many years. Since the military, with its scattered forces, had been singularly unsuccessful in subjugating or decimating this most hostile and resourceful enemy, Galvez decided a bad peace was better than a good war. At the expense of the government, old wants and weaknesses of the Apaches were to be increased. Trinkets for personal adornment were to be given out. Whiskey, and inferior quality fire-arms and powder, were to be given them, and different tribes of hostiles were to be incited in every way to warfare between themselves. Extermination if it could come about would be between indians as the Spsanish empire had met its match in Texas.